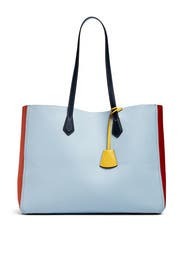 Rich pebbled leather and a contrast interior elevate this everyday tote from Tory Burch. Also available in Green, Black, Jet Black , Blue Cloud , Grey, and Light Umber. 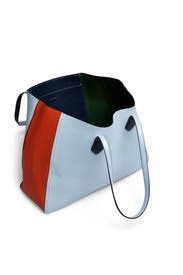 Colorblock pebbled leather open tote. Interior side zipper compartment. 9.56" handle drop. 12.6"H x 16.9"L x 5.98"D.
Beautiful but too big for everyday. Bigger than her original Perry tote. Soft material but still new so it was stiff (I could tell it would soften after use). So bright and well made but it was just too big for an everyday purse. Returned without using but I would definitely rent again for a business trip or for travel. 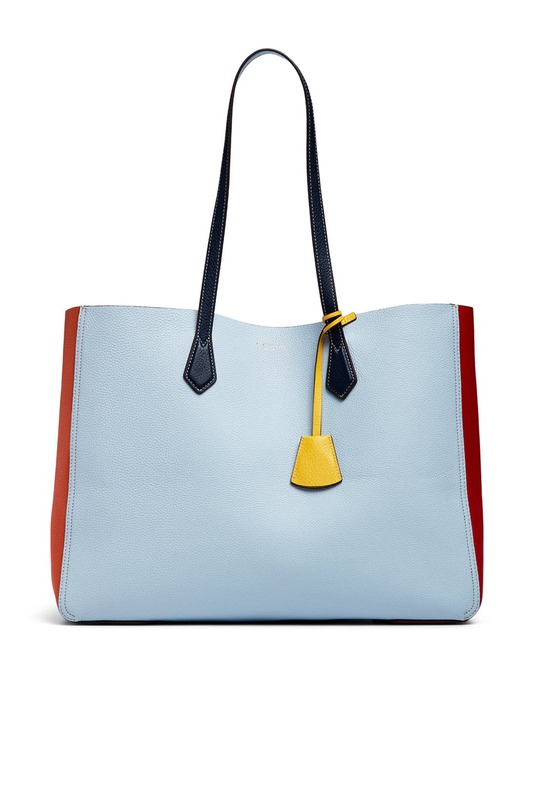 This tote would easily fit a laptop.